Iron gates are strong, elegant, and very durable, oftentimes lasting years beyond their counterparts and with little or no maintenance. 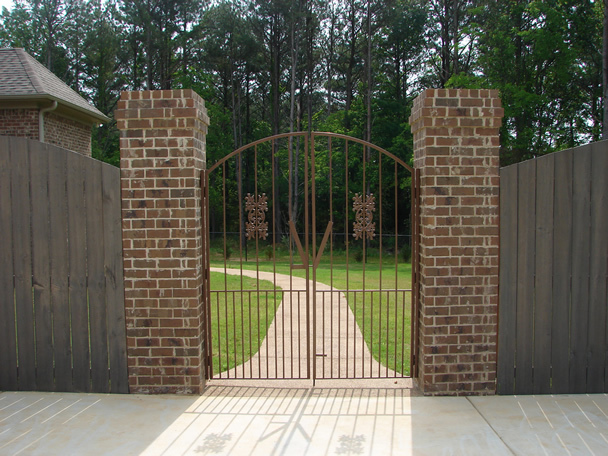 We build all of our own gates “from-scratch” to your design specifications. 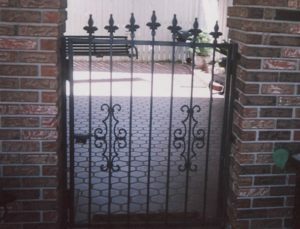 Gates can be manufactured in a wide range of styles. Rounded-tops can add beauty as well as sturdiness to the overall design. 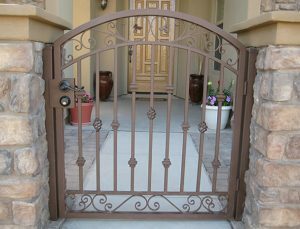 We can design a simple or ornate gate for your needs. If you have a design idea we will do our best to incorporate it into the finished iron gate. 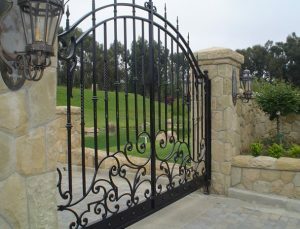 Iron gates are oftentimes placed between two stands made of materials other than iron, such as stone, brick, or cement. We build not only the iron gate but the mounting structure for these. 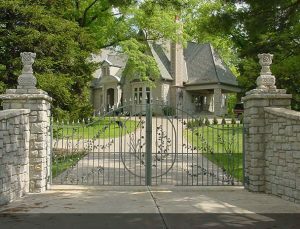 Iron gates can be made to span large openings. When we measure the openings we will offer recommendations as to the most suitable design structure to meet the look you want while in no way hindering the durability of the finished product.